This adorable snowflake shirt is perfect for a winter wonderland birthday theme! Personalized with their name makes it extra special. Perfect for boys & girls. 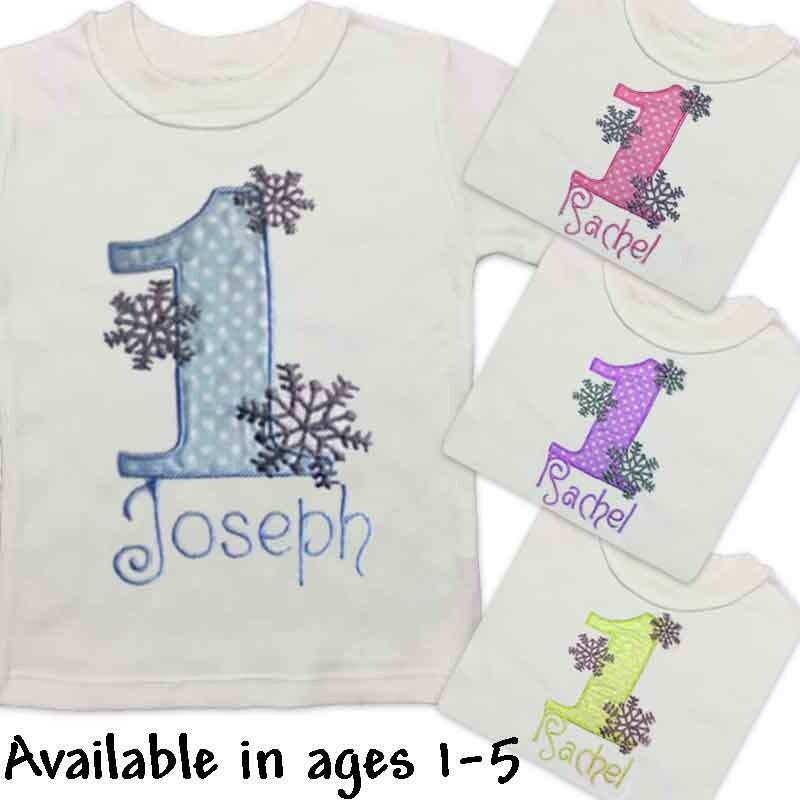 These winter wonderland themed snowflake shirts were originally custom ordered for 2 very special twins. The shirts were so popular that we added them to our regular birthday line! Personalize Me! Enter your child's name or short phrase (birthday girl, birthday boy, etc...) in the customization area below. If you don't want it personalized, enter "no name". 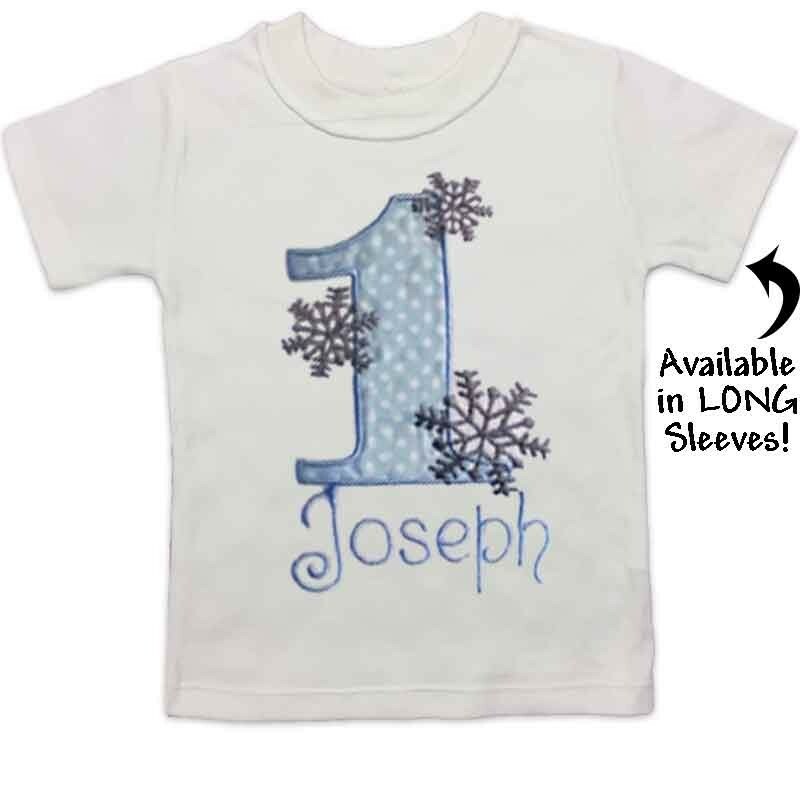 Features: Choice of long or short sleeves. 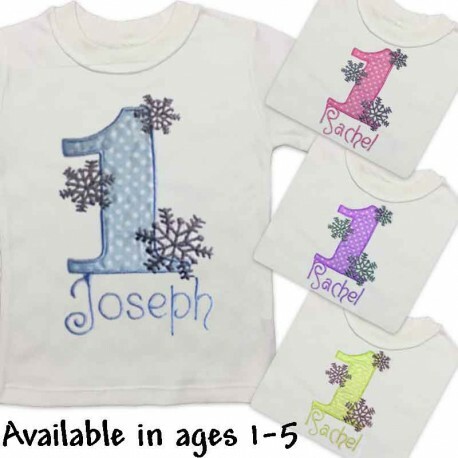 Polka dot applique number personalized with their name.